Source: Two-Step Diabetes Cookbook. Recipe Credit: Nancy S. Hughes. Photo Credit: Renee Comet. Combine all ingredients, except the lemon quarters, in a gallon resealable plastic bag. Seal tightly and toss back and forth until well coated. Refrigerate 8 hours. Heat a grill pan liberally coated with cooking spray over medium-high heat. 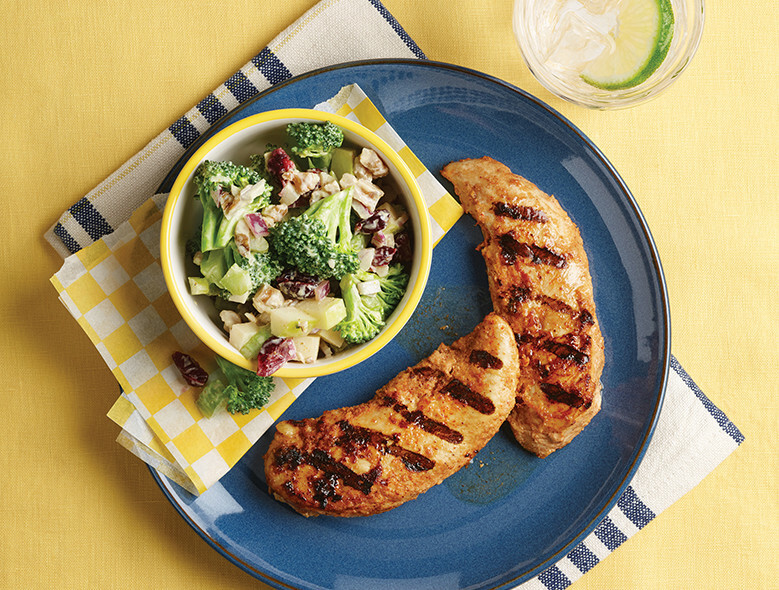 Remove chicken from marinade, discarding marinade, and grill 3 minutes on each side or until no longer pink in center. Serve with the quartered lemon, if desired.